You are here: Home » Wanna Piece of ilg? c(om)e git it…this Saturday morning! i’ll be waiting for you! Wanna Piece of ilg? c(om)e git it…this Saturday morning! i’ll be waiting for you! Wanna piece of old man ilg? i know you do! well, stand in line, baby! just like the decades of warriors before you! be at the Durango Rec Center this Saturday morning at 8:15am for a ninety-minute Spin/Core Workout that will truly stick to your spirit! Though it runs against my “America’s Outdoor Athlete*” reputation, spiritual lineage, and my inner tendencies to spin indoors (which, BTW, is precisely why God created nordic ski racing! ), feeble ilg is attempting to hold down the fort for our most preciously sweet and huge-of-lung and fleet-of-foot Swede, Marisa Asplund, this Saturday morning at 8:15am for her amazing 90-minute spin/core workout at the Durango Rec Center. PLEASE arrive early to get a bike and support my feeble attempt to honor her service! As a Rec Center employee, i know by faithful, lifelong, direct experience that us City Employees don’t do what we do for the money. It’s for the Love of sweat and service! 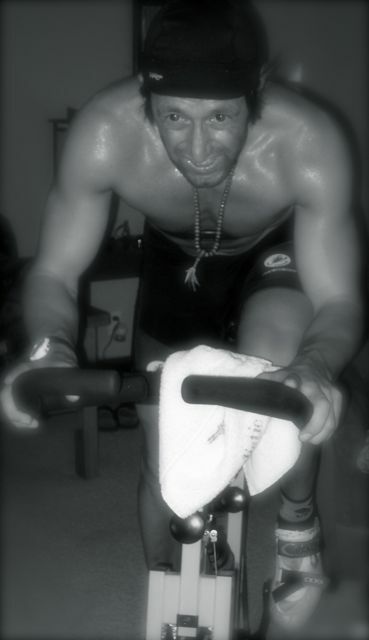 ilg will do my best, however, i admit i haven’t taught a Spin Class since i lived in LA, many, many moons ago. So, please, grab your SPD shoes or any stiff footwear you might own, and show up, and…unlike Tueday Night Worlds?…don’t shut up! Just cheer me on and we’ll have a great workout, I pr(om)ise!